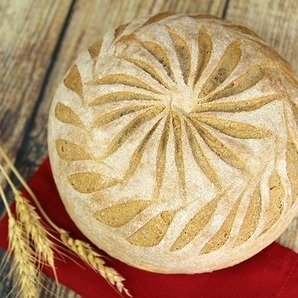 Our signature 100% whole grain bread. 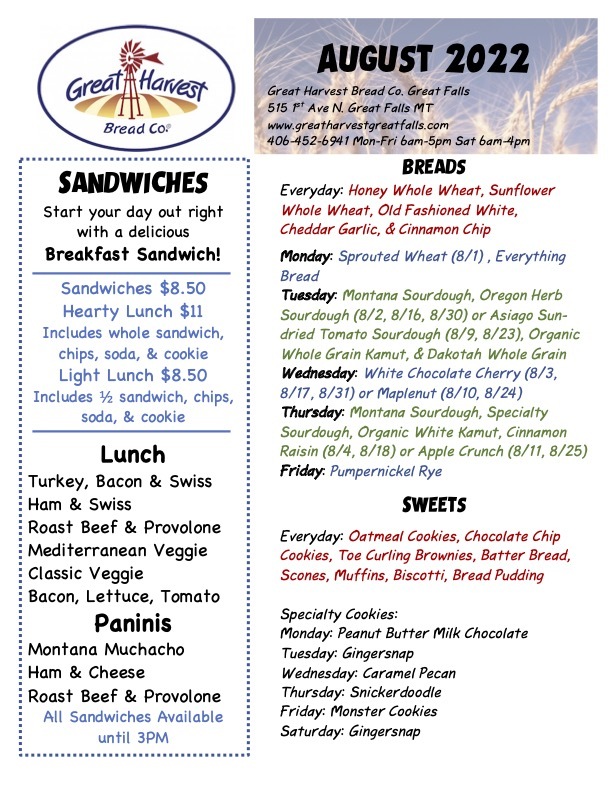 Perfect everyday for toast, sandwiches, snack, or dinner. 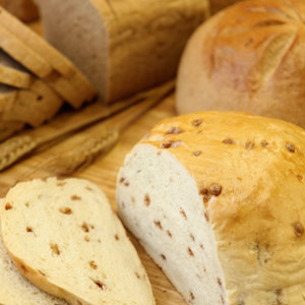 A perfect blend of five pure ingredients – freshly ground, flavor-rich, 100% whole wheat flour, pure honey, filtered water, salt, and yeast.This is what REAL BREAD tastes like! Fresh Roasted Garlic, big chunks of Cheddar Cheese, what more can be said? Just looking at it makes you want to rip into it. And when you do, trust me, you'll love yourself for it. If you live life on the daring side, call ahead and we will throw enough Jalapenos in to knock your socks off! Kids love Cinnamon Chip Bread and there is still a kid left in the rest of us that also enjoys it. Eat it toasted in the morning or for special occasions when there is time, make the world's greatest French Toast with it. 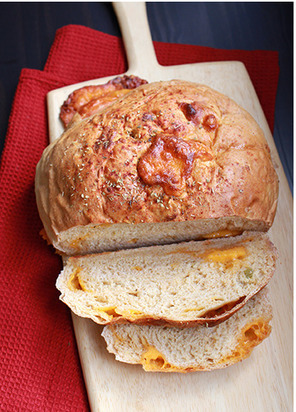 This is a savory bread to die for. 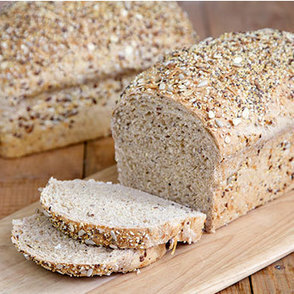 Made with a blend of whole-grain and unbleached flours, we then add pretty much EVERYTHING to it! This bread is both savory and delicate, suitable for exquisite dinners or gourmet sandwiches or even breakfast toast!